The month of December has been given a warm welcome already here in the Southeast, which is unfortunate for all of us who like snow or seasons in general. The early round of openings and closures has been documented, and I won’t torture that point here except to say that Thanksgiving and even Christmas are unreliable markers. They are “winter” holidays that more often than not exhibit only partial vital signs of the season we began dreaming of in August. But we are conditioned to think that the calendar page has turned and any day Clydesdales may be unexpectedly breaking trail though snowbanks in our own backyard. In my experience this has rarely been the case, despite my leaving bags of oats strategically about the property. The grackles do seem to like it. Congratulations to those who made it out during the last episode of low temperatures and excellent snowmaking. I missed it and had only the satisfaction that I correctly predicted I would get four issues of relevant ski magazines before I saw any skiing myself; being right can be a curse and the curse of inflated expectations can be even worse. Of course December rarely delivers, no news there but I think our freeze and thaw cycles throughout the season have become more pronounced as well. The new reality is to get it when you can on short notice and make the most of what snowmaking provides when the opportunity is there. Real snow storms can be huge when they start hitting (hopefully on top of some good base coverage) but we ski what we’ve got until then. All that said we have good news, as has been noted here by folks more expert than me, the end of this week holds a great opportunity for major snowmaking operations and the resorts will lay the magic carpet down; I intend to ride it. For many of us this will be our season start, training wheel time. I will see if my eccentric ideas about binding configurations are practical or even safe. That is always a thrill but a discussion for another time. I am now thinking about deals, because to get out early for trail counts that are not fully ripe I’d rather not pay full dollar. With that in mind I’ve done a tour of the websites to see what special offers jumped out. There are not as many as there have been in the past, for example Labradoodle Monday and Two-can Tuesday are nowhere to be found but there are still some good offers and there are other reliable strategies for making a day on the snow more affordable. This is a small sampling of what is available and many of the specifics I highlight are trends throughout the region, so check your preferred destination because this list is far from complete. In addition to what is listed below almost all our resorts offer specials for active military and many for firefighters and police as well. Sometimes this is true all season and sometimes just on designated “appreciation” days. College students can also get a break so be sure to look at what the resorts have to offer on their lift ticket pages. So onward into the fray, let’s look for some deals. Night skiing if you’re local. 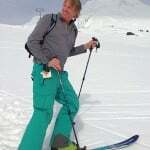 Night skiing has always had good rates but now resorts are pushing nightly specials especially hard. It’s a bittersweet pill to me and I think many of us because I won’t be driving three hours for three hours of night skiing in order to drive three hours home. Still there are great deals and arriving the night before a longer stay makes for a cheap early start. Rather than just complaining about early season conditions take advantage of early season rates. Like weekday specials this is less prevalent than it used to be but there are still some good ones. West Virginia’s resorts have really nailed this. Weekend window rates at Snowshoe are $59 until Dec. 15; Timberline and Canaan are offering even steeper discounts from opening all the way up to Christmas day. Speaking of Christmas day, Appalachian Ski Mountain has put a reverse twist on holiday pricing; Christmas day tickets will be 1/2 price there. An increasing number of resorts are offering two to three day tickets which save a lot off of the single price purchased each day. Of course advance on line discounts are also available and often astonishing even a day or two ahead, but I appreciate places that offer this flexibility right at the ticket window when you roll up for a storm weekend. Here’s one that jumped out: Timberline has a regular season weekend pass good from 4:30 Friday thru 4:30 on Sunday for $135. Check your favorite resort website because there are way too many offers to condense in this space. and may I note here that while I usually say skiing, I mean snowboarding as well. It’s just too damned complicated to try and signify both with phrases like “the logistics of sliding down the mountain whether it be upon a single plank or two”; but snowboarders, know that I love you all and I wish we had a unified word that worked; merry planksters? …anyway, the logistics of skiing mean that we have a lot of preparation, driving, perhaps child wrangling time required; often a full day ticket is only half used. So save money and just buy a half day and focus on that time with all the logistics worked out. Especially early in the season, when legs are a bit skittish and skiing hard for four hours may be good enough. A particular shout out to Massanutten and Wintergreen who offer flex tickets which allow you to show up anytime during the day to start your half-day session. For reference, here are some Weekend, Weekday and Half-day rates across the region, holidays and even Fridays sometime vary, and there are all kinds of twilight, vampire or zombie sessions to further complicate easy summary but I tried to keep the comparisons apples to apples for the sake of this graph. Wolf Ridge NC 40? Website Down 56? First, check your local shops and see if they sell discounted lift tickets, many shops in larger cities outside the resort areas have these at worthwhile reductions. There are other offers that occasionally come up through on line partnerships and as the season gets going in earnest you can start looking at the big clearing houses like Liftopia. Wolf Ridge has day tickets available for $28 dollars good except holidays all season on AshevilleDeal that goes only thru today (Monday) but similar deals will continue to pop up on regional coupon sites throughout the season. With that in mind there is a thread on the messageboard, where people can start posting and searching for deals as they emerge. Other options: Get old, Get a group, or Go Uphill. Along with wisdom, age has other advantages. Some of the resorts offer Senior prices at the same rate as kids, beginning at age 60 for Ober Gatlinburg and Canaan Valley Resort, 62 at Massanutten and 65 at Beech and Bryce; all five of these offer FREE skiing if you are still hitting the slopes at 70, and at Cataloochee you start skiing free at a mere 65; a good incentive for me to take better care of my knees. If you can get a group together steep discounts can be had at most of our resorts so gather 15 friends and take over the slopes. 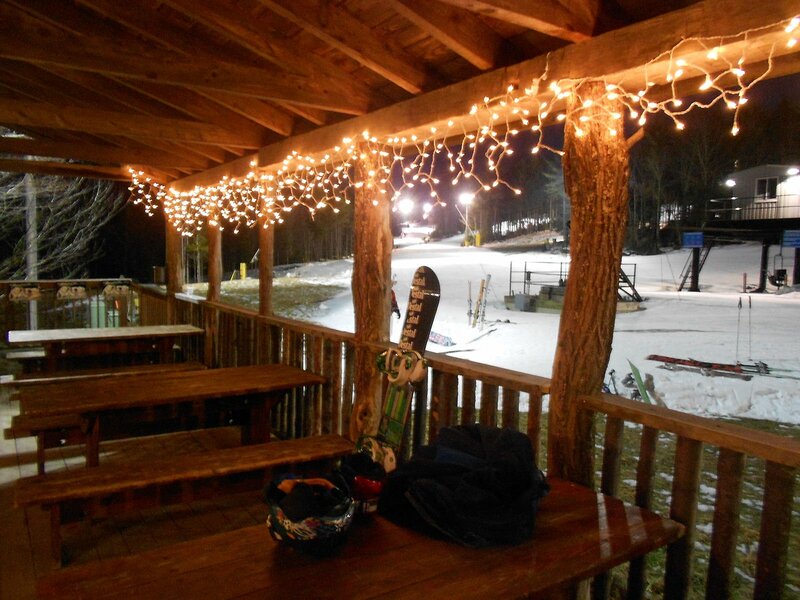 Cataloochee has Lift/Rental/Lesson group rates of $40 until December 15; let the mayhem begin. Skiing uphill? Most southeastern resorts have not defined their uphill policy (which is to say prohibited it) but the day of reckoning will come. Bored hipsters who were once local but recently got their first taste of speed skinning after heading out west, will be returning and insisting on dedicated uphill tracks, joining ranks with crusty telemark types; debates about proposed heli-ops on Roan Mountain will follow. 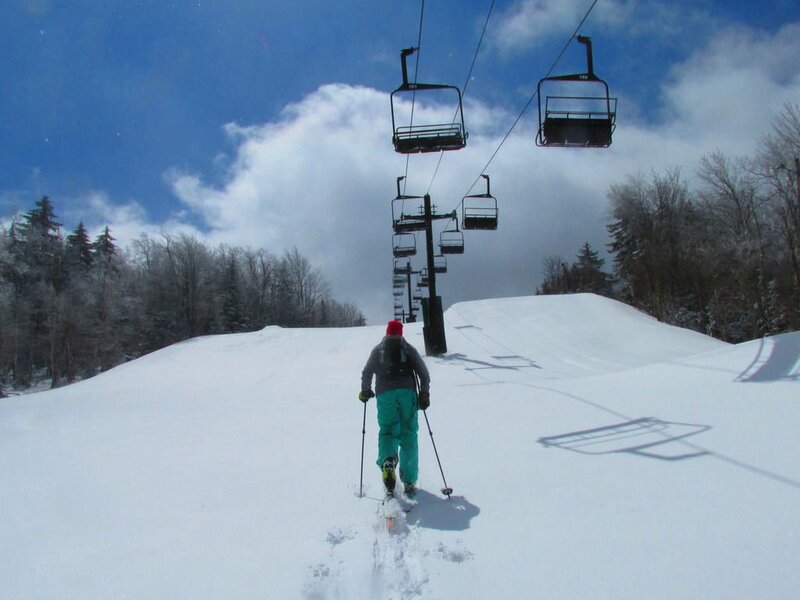 In the meantime, while the radar is low, we can always earn our turns somewhere for free. 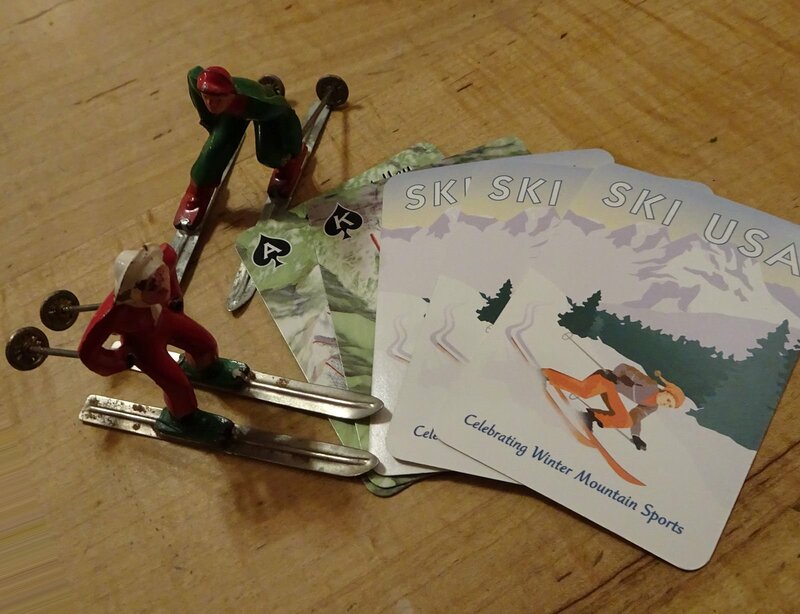 There’s much more and touring the various resort websites, which are all linked at the top of the SkiSoutheast homepage, will yield a lot of treasures I have missed, which is a great way to pass some time as we wait for the trail counts to ramp up. David McCue grew up in Amarillo, Texas and annoyed the natives of New Mexico and Colorado by skiing on their mountains throughout his childhood and teens. He put down his neon 200cm GS skis for nearly twenty years until the fateful day he took his own young sons for a half day to Cataloochee. He has never looked back, except when alone and deep in the trees. A carpenter by trade, the uncertainties of the housing market have further honed David’s snow skills. He now resides with his patient wife on the banks of the Haw River in central North Carolina and annoys the natives of West Virginia by skiing on their mountains.